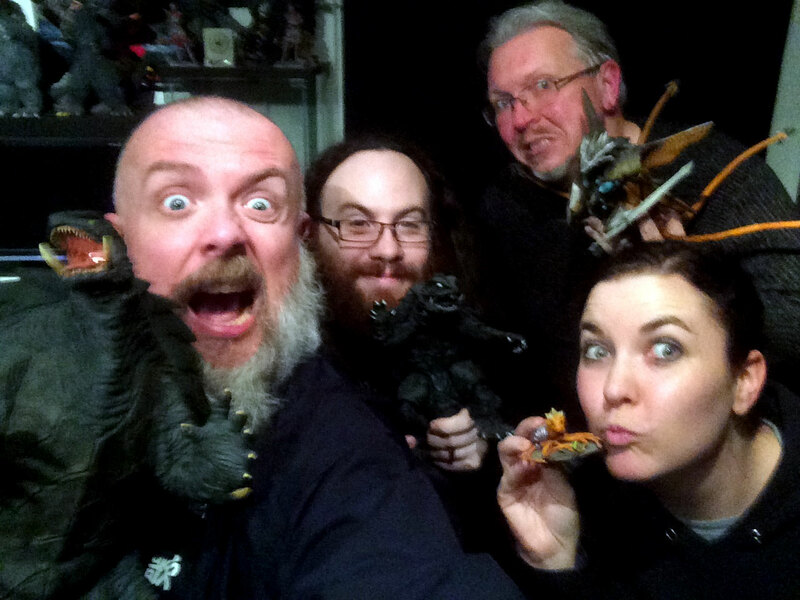 Kyle, Bryan, Dave and Rachel awaken the guardian beast and cover Gamera 3: Revenge of Iris (1999)! It’s no secret that I used to run the Shrine of Gamera back in the day, so I have no qualms with sharing my love for what I consider to still be one of the best kaiju movies EVAHR (sorry, that was for Cameron). I’m constantly preaching the word of Gamera to the masses and if you don’t have this holy trilogy, it’s available at very, very reasonable pricing…. so get on that! Bryan, Rachel and Dave came over to watch and review Gamera III and, as I’m sure everyone expected, we all had a blast during the screening (and the recording). We hope you dig it too. Now, we don’t cover any news in this episode, just those events coming up which includes the conventions and our rapidly approaching Emergency Broadcast — please don’t miss that one, folks! Our next film is Godzilla vs. Spacegodzilla (1994). Woohoo, right? I actually am psyched; I now have an excuse to watch the Bluray version of this one. Subbed… always subbed. We’d love to hear your thoughts on this gem from the Heisei era so please send in your thoughts, questions and reviews to us via our handy form or send in a voicemail (details in the episode). You’ll need to turn in your “homework” before Wednesday, February 24th to be included in our next discussion episode. Our Emergency Broadcast is coming up in just a few days, so make sure that you’ve bookmarked our LIVE page and mark your calendar for this Sunday, January 31st at 2pm PST to hear our annual live broadcast event! We’ll have special guests, a chatroom for listeners, trivia and drawing giveaways, and lots more.